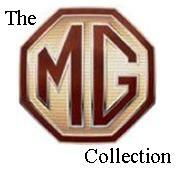 Regarded as one of the greatest MG’s ever produced. The K3 can claim a deserved place in the history of British motor racing. In the early 30’s the International Racing scene was dominated by foreign cars (Bugatti’s, Maseratti’s and Alfa-Romeo’s). Cecil Kimber decided to attack the 1100cc International class G racing series with a new car, the MG K-series. The new "Magnette" 1100cc range was launched at the <?<span>London Motor Show of October 1932 and sat nicely between the 847cc Midgets and the 1271cc Magnas. The Range comprised the road going K1 (four-seater) and K2 (two-seater), as well as the sports racing K3. The K3 basically was a supercharged K2 and was to become MG’s most famous racing car. The top-of-the line K3 Magnette with a Marshall supercharger gave 120bhp at 6500rpm. Its pre-selector gearbox was ideal for racing in that it left the drivers hands free for wild swinging movements so necessary in those days of ‘whippy’ chassis, rough roads and skinny tyres. With this system, a predetermined gear was selected before it was needed, for instance approaching a corner, and then engaged by a foot pedal at the appropriate moment. The K3 retained the popular 2-seat sports car appearance with a flat tail with slab tank. The chassis ran on half-elliptic springs supporting Rudge-Whitworth centre-lock wire wheels The first car was ready inside 6 months of initial conception. MG modified the 57mm bore by 71mm stroke, 1100cc, inline-6cyl engine borrowed from the Woseley Hornet. They inserted a cross-flow ohc head and a magneto as well as using, for the first time, a four-speed pre-selector gearbox. The range was actually rather bewildering with three different chassis (K1, K2 and K3), four different engines (KA, KB, KD and K3) and three different gearboxes all being fitted into five different body variations! Only relatively small numbers of each model were produced so no two cars seemed alike. That said the actual number of K series cars sold was high, high enough to justify full development of the K3 racing cars anyway, and their success was going to add to those sales figures. The K3s first major success was in the1933 Mille Miglia (on 9.4.33) when a team of three British MG K3 Magnettes took part at the personal invitation of the King of Italy and Mussolini. Capt. George Eyston and Count Lurani took 1st in class with a second team car following them home. This was the first time a non-Italian team had ever won anything at the event and they took the prestigious team prize too. Whitney Straight drove his M.G. Magnette to win the IV Coppa Acerbo Junior race at Pescara. An under 1100cc class race of 102km held on the same day as the Coppa Acerbo race. 13.8.1933. Later that year, and after being impressed by the earlier MG performances, Tazio Nuvolari drove for MG at the Ulster RAC TT at Ards on 2.9.33. This was the only time he drove an MG and he obliterated the field. Covering the race distance at an average speed of 78.65 mph it was his second win having won in 1930. When asked about the MG’s brakes Nuvolari apparently said he didn't know much about them as he had “hardly ever used them”. This from the man who also said “ I can make a car stop without brakes but cannot make it go without an engine”. Another story tells us that “Nuvolari was doing something that no one else could. There was a small patch of new tarmac on the road ("about the size of a glove") and when the front wheel on the passenger side touched it, Nuvolari started braking, on every single lap.” As this story came from a driver who’s car had expired demoting him to spectator it held some sway over Nuvolari’s assertions. The TT race itself only lasted for another three years. It was removed from the racing calendar after a crash in 1936, on the entry to Newtownards. Local driver Jack Chambers driving a Riley lost control, in the wet conditions, crashed into the crowd and killed eight spectators also injuring 40 more. A few weeks after Nuvolari’s dramatic win Eddie Hall drove a K3, modified with a long streamlined body and head faring, to victory in the Brooklands 500 Mile Race on 16.9.33 beating the second placed car by 28 minutes. This win was tinged with sadness though as H. B. Watson crashed his MG Midget that day and was killed. Airfix kit # 03443-2 was first released in 1977 and is an exceptional kit for that time. The level of detail is brilliant and the crispness of the moulding outstanding. Of course Airfix have re-released this kit several times and as the years progressed the moulds started to show their age with flash build up making the kit much more of a trial to build. The last UK release was in 1988 as kit # 02452. This kit was released in the U.S. by USAirfix as kit # 8204 1 and also found it's way onto MPC's product list in 1982 as kit # 1-0901. Today these kits are still available on the second hand collectors market with prices remaining quite reasonable for the builder at around £10 for a kit in good condition. Originally built way back in the late 1960s to early 1970s, using tube glue and Humbrol enamel paints applied by brush, this car had an unfortunate meeting with the floor and in appreciation disassembled itself. Turning adversity to advantage Rod picked up the pieces and put them all in the oven cleaner to start the process of restoration. Finally restored in February 2008 this model shows how, what is now a very old Airfix kit, can still become a very nice model indeed. The bottom pictures of the Magnette in a 1/32nd scale display help to give an indication of the car's size in comparison with the Rolls-Royce "Silver Ghost" and 1910 Lanchester.